Based upon questions we have been fielding from parents recently, it may be time to revisit a subject that we first addressed in 2011 - how families can get reimbursed for private school tuition for their children who qualify for services under the Individuals with Disabilities Education Act (IDEA). A good place to start this discussion is with understanding that parents have the right to enroll their child in any school they choose. Whether their child is a typical learner or a student with challenges, it is completely up to the parents to decide where and how they obtain their education (so long as they are, in fact, being educated, since attendance at a school or participation in an authorized home school program is mandatory). The issue in these situations is who will pay for this education. It is also important to understand that states have a list of "approved private special education programs". The fact that these schools are "approved" means only that these programs meet certain criteria and follow certain rules - things like curriculum, school calendar, and participation in state testing. Local school districts that cannot meet the needs of a particular child may agree to place a student in one of these approved schools. The local district takes responsibility for the student's application and arranges to pay the tuition at this private approved school. [The state reimburses the local district for much of this tuition]. There is no cost to the family. Once the student is accepted into the approved private school, it becomes the placement set forth in the student's IEP. Frequently, however, the local school district does not agree with the parents' contention that a particular student requires a private school in order to meet his or her needs. They offer an IEP that provides for the student to be educated in a public school, perhaps in a special class or with special supports. 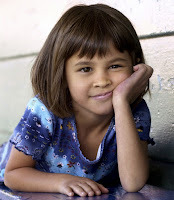 When that occurs and the parents believe that their child is not being provided with an appropriate public education - something universally referred to as FAPE (free, appropriate, public education), the parents may decide to enroll their child in a non-approved school that they believe will meet their child's needs. They may then file for a hearing before a state hearing officer to seek to have their tuition payments at the private school reimbursed to them. We recommend that the parents work with an attorney who is experienced in handling special education matters to represent them in the hearing. Note that local school districts cannot and will not place a student in a non-approved private school, even if they think it would be helpful for the child. Under the IDEA, there is a three prong test, called the Burlington/Carter test, after two U.S. Supreme Court cases: Florence County. School. District. Four v. Carter and School Committee of Town of Burlington v. Department of Education of Massachusetts . First, the local school district has the burden of establishing that their IEP, including the school setting, is appropriate. If they succeed in demonstrating this, then they will prevail at the hearing. IF the district fails to establish that its IEP is appropriate, then the hearing officer will look to see whether the school in which the parents have enrolled their child is, indeed, an appropriate setting in light of the student's needs. Generally, a private special education school that works with students like the one at hand will be deemed appropriate. In contrast, a private general education program with little experience with students with disabilities will likely not be appropriate. Finally, the hearing officer will look at the equities, meaning that it will examine whether the parents have dealt fairly with the district by looking at the programs that the district suggested and not having signed a binding contract with a private school in advance of examining the programs the district recommends. Note, however, that the parents’ preference for a private school is not a bar to reimbursement. Even parents who are successful at a hearing still must lay out the tuition and await reimbursement which can come more than a year after the fact, given the time involved in scheduling hearings (even without an appeal from the hearing decision by the district). And the hearing process needs to reoccur each year, unless the parties reach a settlement. There can be no guaranty that parents will be awarded reimbursement, although an experienced attorney looking at all the facts in a particular case can be helpful in weighing the likelihood of success. We all know that exercise is good for kids. But we often think about opportunities for exercise as something that happens after school or on weekends. A growing national (and now international) program, now in about 3,000 schools, BOKS (Build Our Kids' Success), changes that paradigm with a before-school program of exercise, activity, and skill-building that has been shown to improve both the physical and mental health of the children who participate. Training from BOKS, an affiliate of the non-profit Reebok Foundation, is free and the start-up costs for schools (things like balls, jump ropes, and cones) are minimal. Trainings take place at several locations around the country or ,virtually, anywhere they are desired. According the BOKS website, a typical one hour before-school session starts with check-in and free play. There is then a brief review of the lesson plan for the day and the "skill of the week". Next will generally come a running activity, which is a key part of every session, followed by practice of specific skills (things like push-ups or squats) through game playing. Classes end with a game designed to promote teamwork, and then the students stretch and cool down and discuss nutrition tips with the trainer. While this all sounds like fun, the most impressive part of the program is the impact it has on the physical and emotional well-being of the children who participate. As noted in a recent piece in The New York Times, researchers looked at 707 students in 24 Massachusetts schools, ranging from kindergarten through eighth grade. They all participated in a BOKS program for 12 weeks - some students twice a week and some three times weekly. The study found that both the two and three times per week participants showed improvement in student engagement, positive affect, and vitality/energy measures. Changes in body mass index (BMI) were apparent in those students participating three times weekly, but not those who participated only twice each week. If you are interested in implementing the BOKS program in your child's school, you can find the information to do so on the BOKS website. and even about when kids are bullying -- or at least manipulating -- their parents. 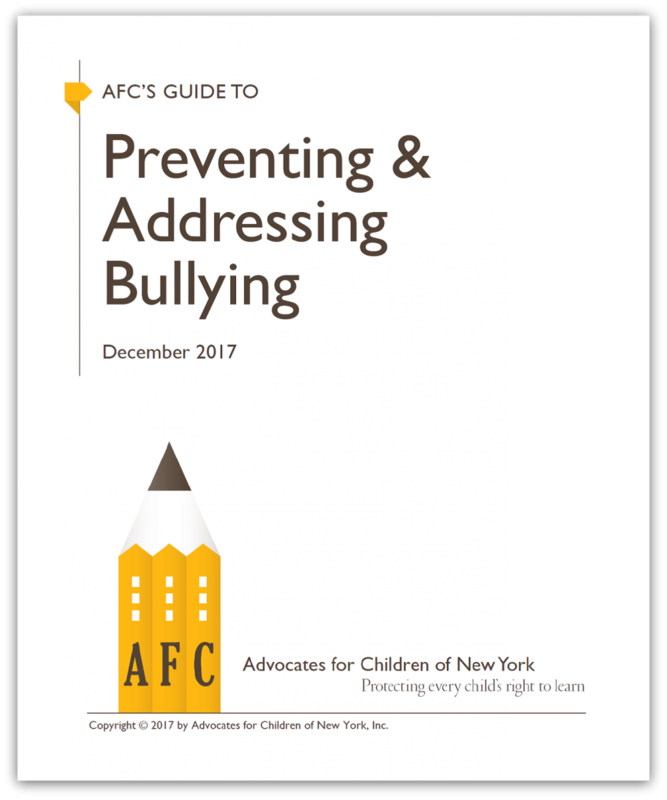 To add to these resources, we have recently come across a very detailed and practical guide to policies and practices relating to bullying in the New York City Public Schools, prepared by Advocates for Children of New York (AFC), a wonderful nonprofit resource for New York City families. 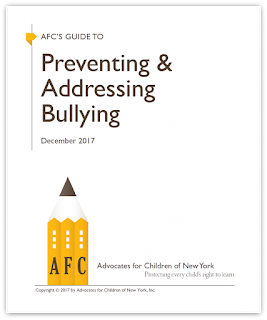 AFC’s Guide to Preventing & Addressing Bullying was issued in December 2017 and includes specific procedures, links, and telephone numbers that can be used when children and families are struggling with bullying. Also included in the Guide are discussions about what constitutes bullying, what happens once a complaint is filed, and how bullying can be prevented. This is a worthwhile reference for every public school family in New York City. .